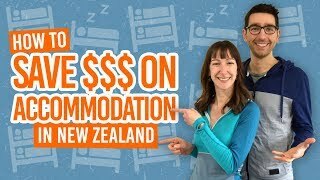 Where to find budget accommodation in Wanaka? With a whole bunch of amazing activities and experiences to be had in Wanaka, why not save the cents on accommodation? With that in mind, we have put together this list of what we consider the best budget accommodation in Wanaka. The Wanaka budget accommodation listed below is between the price range of NZ$79 to NZ$150 for a private room in varied accommodations. Hotels, motels, holiday parks, chalets and B&Bs are included. If you are looking for something cheaper then consider the 5 Best Backpacker Hostels in Wanaka. For more ways to save money in Wanaka, check out 10 Free and Cheap Things to Do in Wanaka. Offering studios and chalets with your own private kitchenette and bathroom, the Archway Motels & Chalets have everything you need for a budget stay with your own space. The accommodation is well within walking distance of the town centre, also including free on-site parking. Relax in the spacious gardens with a barbecue area, picnic tables and spa pool (charges apply for use of the spa pool). 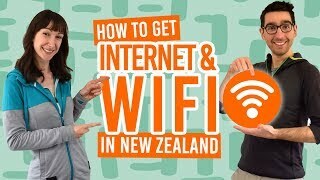 100mb of free WiFi is included. Check Archway Motels & Chalets out! Ideal for couples, friends and groups, Manuka Crescent Motel offers twin, double and triple studios at an affordable price. Rooms has a private bathroom, patio and come with free WiFi. Most rooms have a kitchenette so you can save the cents on food. Check out our recipes guide for inspiration on quick and easy meals to make when travelling. Manuka Crescent Motel is a short drive (or walk) away from the town centre with free on-site parking. Check Manuka Crescent Motel out! With some of the most affordable private rooms on this budget accommodation list, Altamont Lodge is well worth considering for your stay in Wanaka. Each room has access to communal bathrooms and a large kitchen, as well as a spa pool and barbecue. The accommodation is 1km from the town centre. Free parking and free WiFi is available. Stay in a cabin with shared holiday park facilities like kitchen, bathroom and laundry for the most budget option or book a studio for private use of a kitchenette and bathroom. Wanaka Top 10 Holiday Park is driving distance from the town centre with free parking available so be sure to have your own transport. Enjoy the use of the swimming pool and spa pool as well as free WiFi. Check Wanaka Top 10 Holiday Park out! With breakfast included, Loch Wanaka B&B has an edge for budget accommodation in Wanaka. This homely accommodation provides private double with access to a communal kitchen, bathroom, decking area with awesome views and a lounge. Although the accommodation is a little out of town, there’s free on-site parking and free bikes available. Free WiFi is included. Check Loch Wanaka B&B out! For a self-contained budget accommodation option in Wanaka with your own private kitchenette and bathroom, try Peak Sport Chalet. The property is a five-minute drive from the town centre and offers free parking and free WiFi. This charming chalet is ideal for couples travelling with their own transport. Check Peak Sport Chalet out! One of the more unique accommodations in Wanaka, the Oasis Yurt Lodge & Shed B&B offers yurt and cottage accommodation. This is usually an affordable option for couples wanting a en-suite room. There are shared facilities like kitchen, barbecue and spa pool. The accommodation is a short drive from the town centre and has free on-site parking. Check the Oasis Yurt Lodge out! With regular and affordable deals on room rates, Wanaka Hotel makes the budget accommodation in Wanaka list. As well as having several cafes and restaurants on site, there is also a communal kitchen to save the cents on food. Each private room has en-suite and sometimes a bath. What’s more, there’s free on-site parking and Wanaka Hotel is a mere one minute walk from the town centre. Check the Wanaka Hotel out! Perfect for couples or friends, Lake Wanaka Lodge provides some sleek and stylish twin and double rooms. Each room has an en-suite bathroom and either a balcony or courtyard. Free WiFi is available as is free parking on-site. Japanese meals and breakfast is available to purchase. Check Lake Wanaka Lodge out! Just a five-minute drive out of town, Wanaka Kiwi Holiday Park is ideal for those travellers with their own transport, also providing free on-site parking. What’s more, there is a free shuttle into town every night. The studios (your private room budget option) offers basic kitchenette facilities, but you can make use of the communal kitchen and laundry. Plus, free WiFi is available. 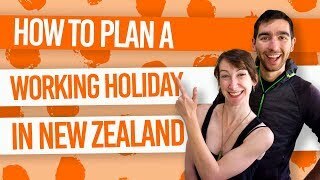 Check Wanaka Kiwi Holiday Park out!